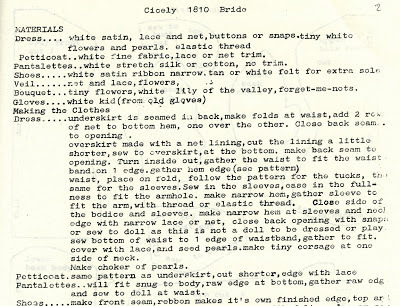 Ella DeHart self published many doll patterns in the 1960s and '70s. Many, like this one, are Barbie-sized. 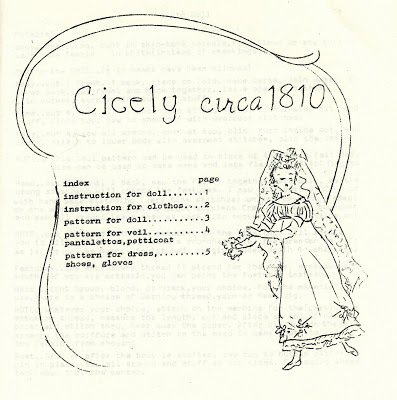 Cicely is dressed as a bride in the Empire style of the early 19th century. 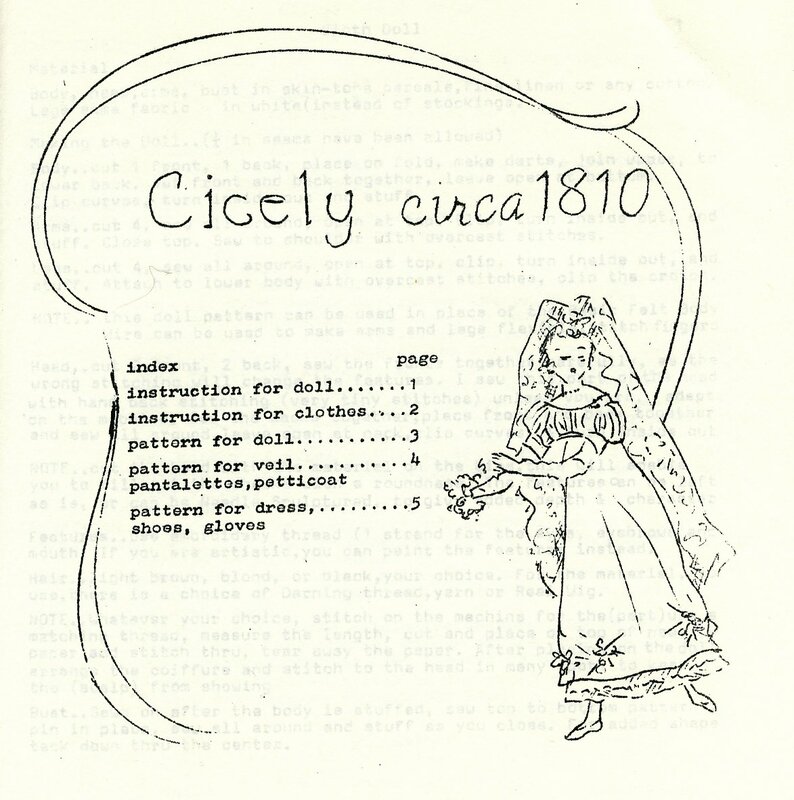 Cicely's wedding outfit includes a gown with Empire waistline, pleated bodice, and overskirt with vertical gathers at the hemline; pantalettes and petticoat; veil, gloves and slippers. She should have a bouquet of tiny flowers. 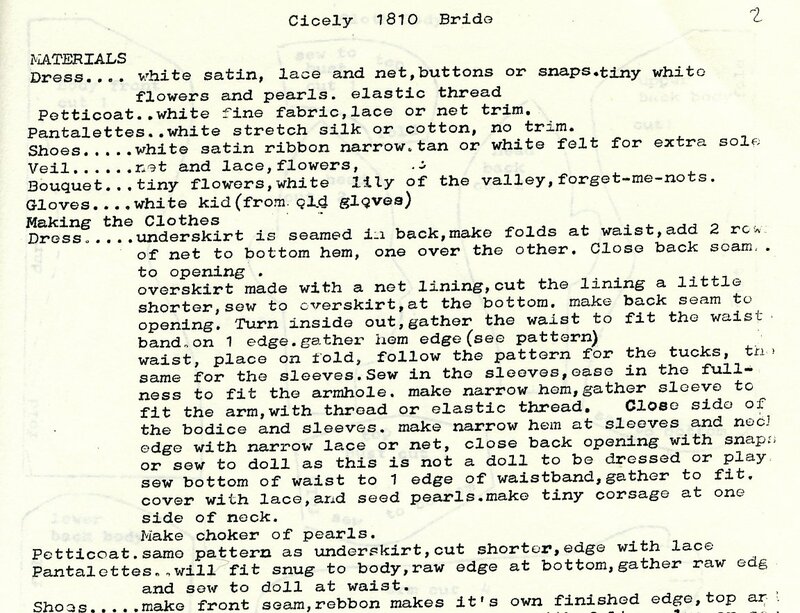 Although instructions call for the ensemble to be all in white, it should be noted that brides didn't always wear white at that time. This pattern looks like it would be rather tricky to make, with a lot of detail on a relatively small doll. What do you think? 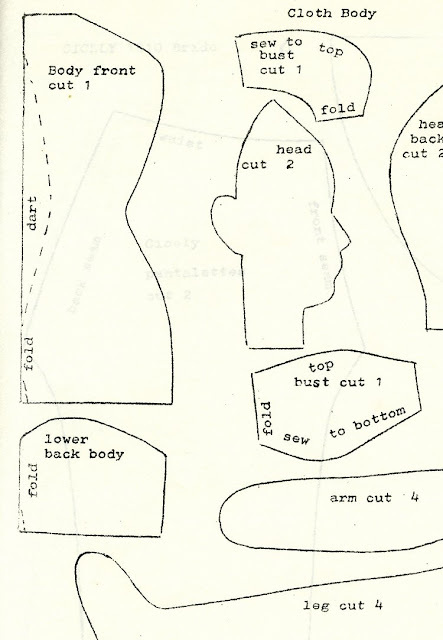 Have you made one of Ella's patterns?